An intimate look at the work and life of a legendary artist. 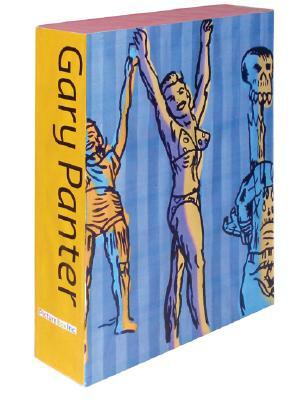 Gary Panter has been one of the most influential figures in visual culture since the mid-1970s. From his era-defining punk graphics to his cartoon icon Jimbo to his visionary design for Pee-wee's Playhouse, he has left his mark on every medium he's touched. Working in close collaboration with the artist, PictureBox has assembled the definitive volume on Panter's work from the early 1970s to the present. This monumental, slipcased set is split into two 350-page volumes. The first is a comprehensive monograph featuring over 700 images of paintings, drawings, sculptures, posters and comics, alongside essays by Robert Storr, Mike Kelley, Richard Klein, Richard Gehr, Karrie Jacobs and Byron Coley, as well a substantial commentary by the artist himself. The second volume features a selection from Panter's sketchbooks--the site of some of his most audacious work--most of which has never been published in any form. A three-time Emmy Award-winner for his production design on Pee-wee's Playhouse and the recipient of the 2000 Chrysler Award for Design Excellence, graphic artist Gary Panter has drawn inspiration from diverse vernacular and traditional art arenas over the course of the past four decades. Closely associated with the underground comics and music scenes on both coasts, he is responsible for designing the Screamers iconic 1970s poster, many record covers for Frank Zappa, the Red Hot Chili Peppers and The Residents and the ongoing comic character Jimbo. Most recently Panter has performed psychedelic light shows at the Hirshhorn Museum in Washington, D.C. and at New York's Anthology Film Archives. He was a featured artist in the major 2006-2007 touring exhibition, Masters of American Comics.